Hewitt’s ice cream is creamy in texture and appearance. We still use the same recipe with which we began in 1962! We also offer sherbert, frozen yogourt and low fat low sugar options. Goat milk ice cream is wholesome alternative to cow milk ice cream. People intolerant to milk from a cow are often able to consume goat milk with no adverse affect, thus making it an ideal alternative to cow milk ice cream. Our all-natural goat milk ice cream is sweetened with honey rather than sugar. Flavours change seasonally. 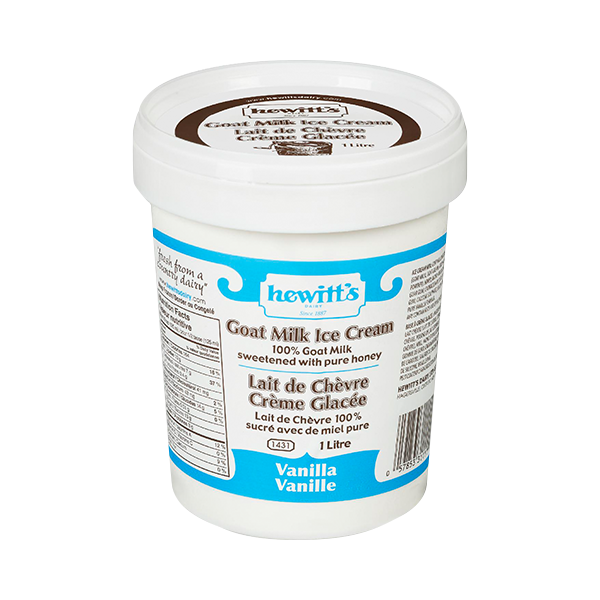 USES: Goat milk ice cream is a delicious natural snack or dessert. Will vary across flavour offerings. The product is made with 100% Canadian goat milk. Hewitt’s ice cream is creamy in texture and appearance. We still use the same recipe with which we began in 1962. 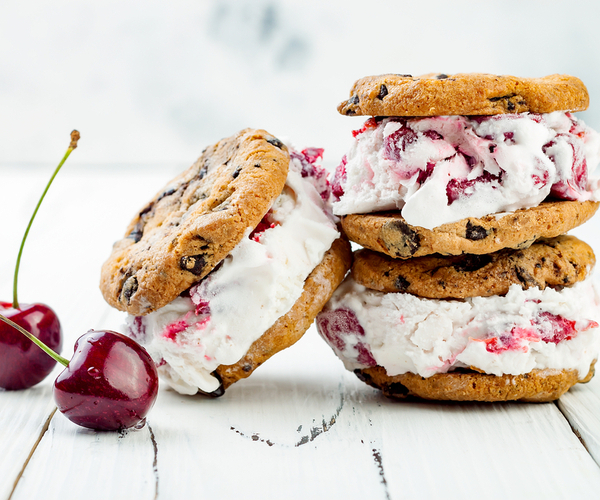 Our ice cream has great mouth feel and is decadent from start to finish. A premium product by all accounts! 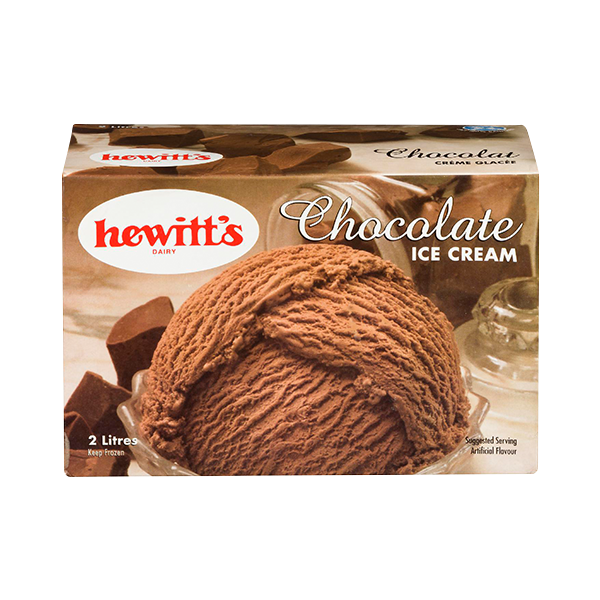 Hewitt’s Ice Cream can be used as a dessert, an accompaniment to a dessert, a snack, in a milkshake, sundae or smoothie, mixed with fresh fruit or berries, or used in the preparation of an ice cream cake or pie. Flavours change seasonally. Made with 100% Canadian milk. 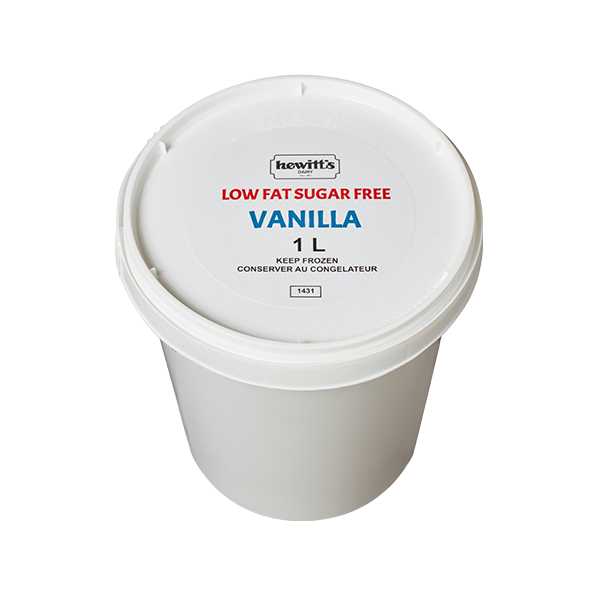 Hewitt’s sugar-free ice cream is low-fat and creamy in texture and appearance. This alternative ice cream is sweetened with maltitol instead of sugar. Flavours change seasonally. USES: Hewitt’s Low-Fat Sugar-Free Ice Cream can be substituted for traditional ice cream – it can be used as a dessert, an accompaniment to a dessert, a snack, in a milkshake, sundae or smoothie, or mixed with fresh fruit or berries. Hewitt’s Sherbet is smooth and creamy in texture and appearance. Made with the rightcombination of tartness and sweetness. Flavours change seasonally. 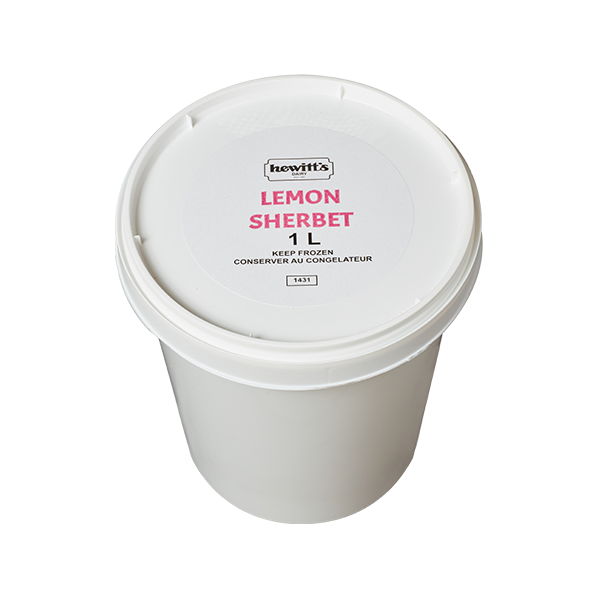 USES: Hewitt’s Sherbet is a great way to finish a meal – cleaning your palate and leaving you refreshed. 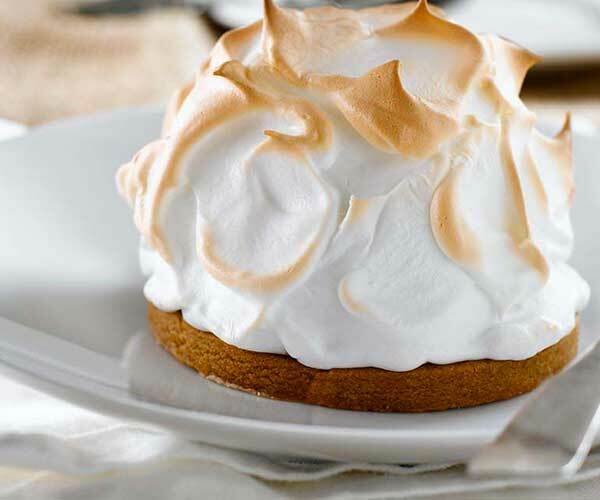 Can be served on its own, in a cone or mixed with fresh fruit or berries.